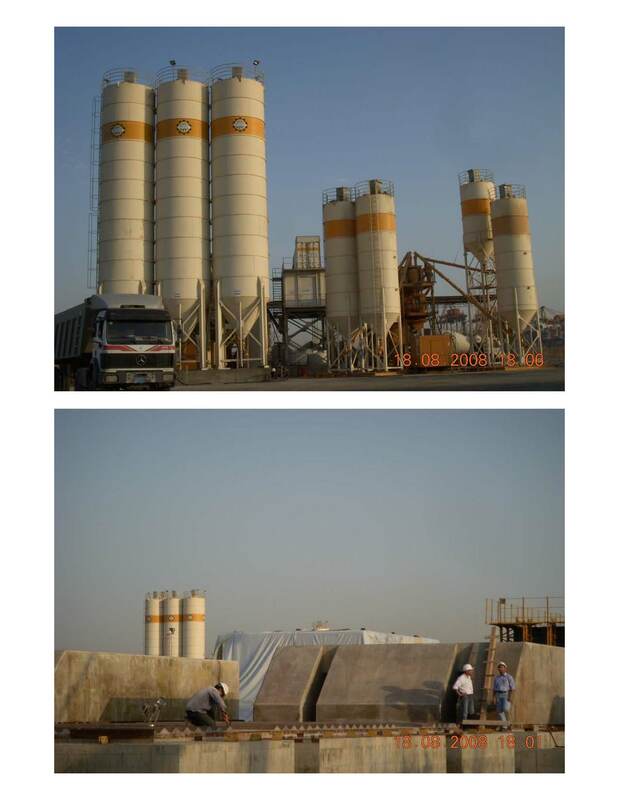 Now my dream become true when I see a huge project in Saudi is using local IP (green cement) after many years of my PhD . The consultant and the contracor had agreed to use IP local cement in all parts of the extenstion project for red sea pavement. 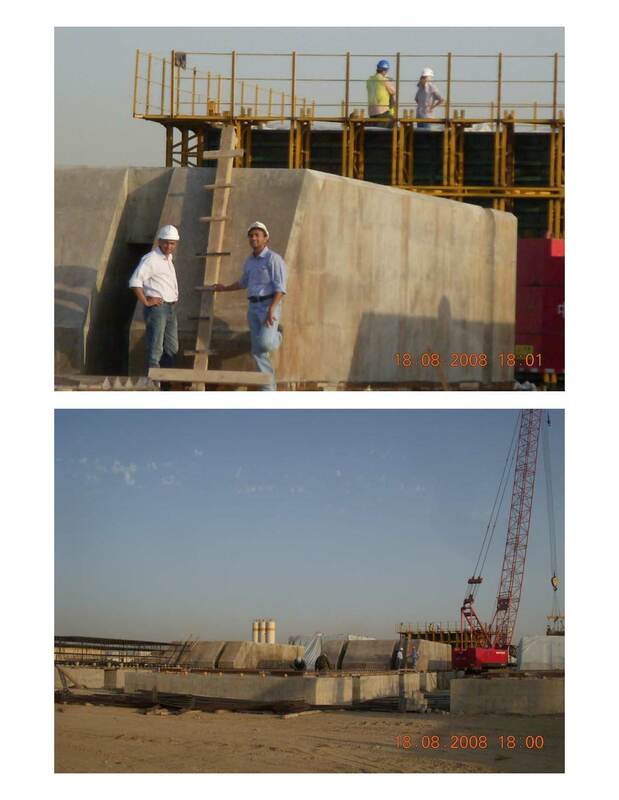 The conclusion of my PhD was to use one type of blended cement (IP) in all parts of the project. This was the first time in history that a ready mix concrte in one location is using 7 cilos of local natural pozzolana to pour hundreds of mass concrete blocks of 450-tons each. There was no OPC or SRPC (Type 5) used in the project. 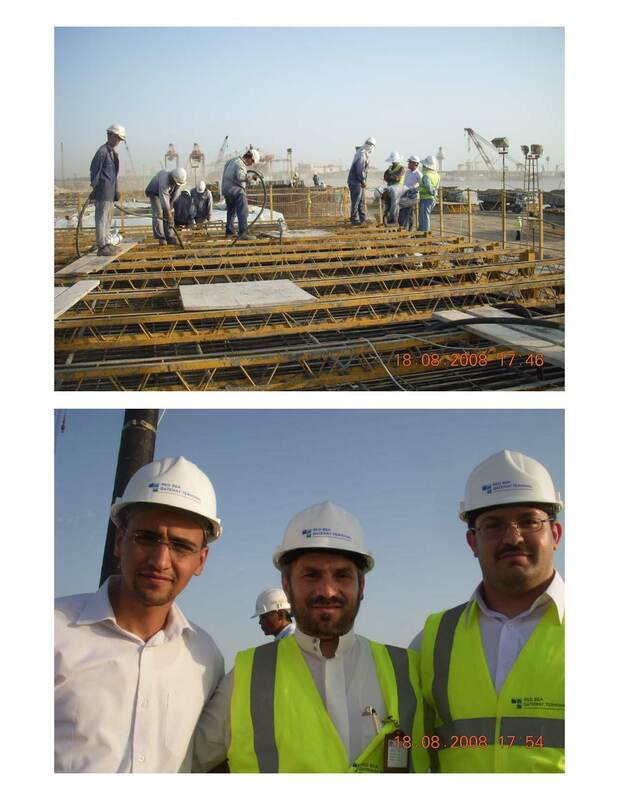 Dr Mohammed with 2 engineers from red sea company standing on the first few blocks that were poured by local IP cement. 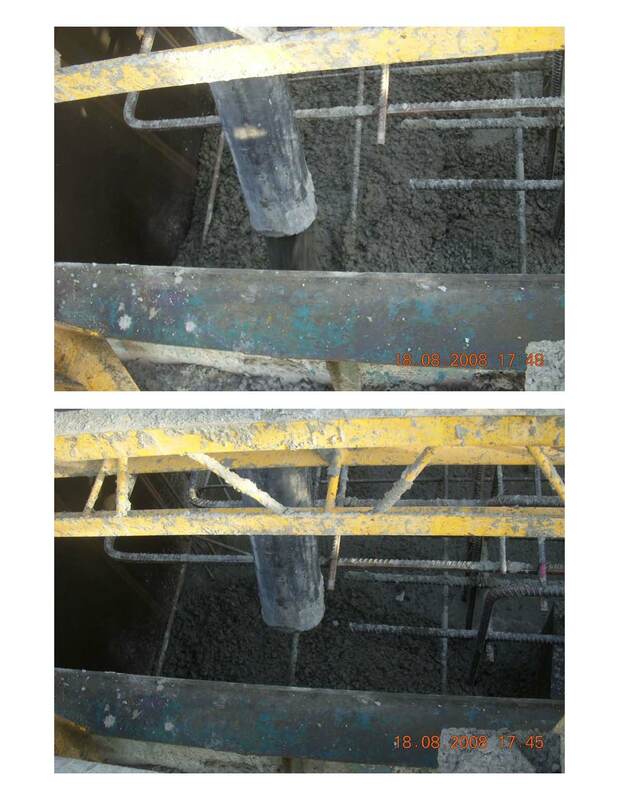 This was the first project in Saudi that approved the use of local natural pozzolana in the mass concrete to reduce the heat of hydration and to improve the workability and durability of the IP cement. This was the first time in history that a ready mix concrte in one project is using 7 cilos of local natural pozzolana to pour hundreds of mass concrete blocks of 450-tons each. There was no OPC or SRPC (Type 5) used in the project. 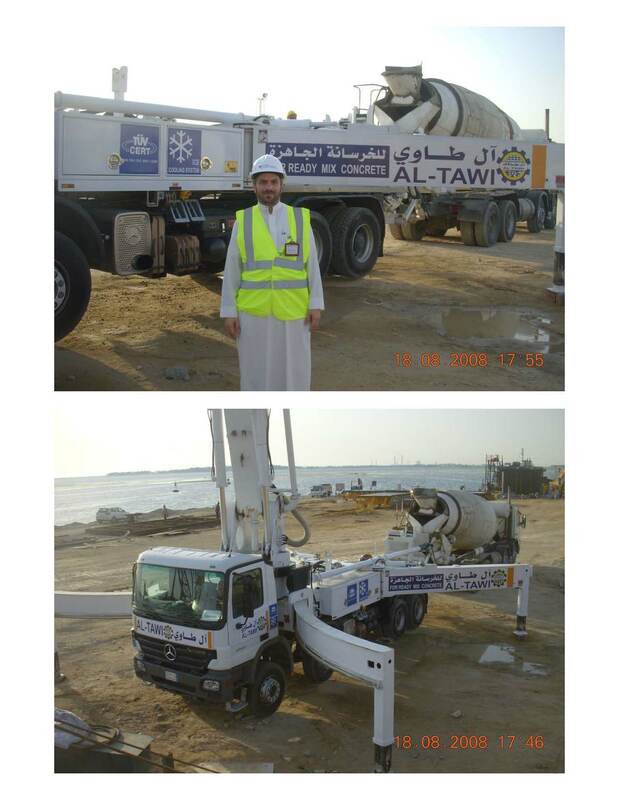 Dr Mohammed Alhaj hussein stands near a pump and a truck of Al-Tawi ready mix conceret at Sea Port . Dr Mohammed Alhaj hussein as a board member in saudi council for the green building was very happy because Al-Tawi is using a local green cement for the first time and Al-Tawi had ISO 14001 when he had started the project. As seen the use of natural pozzolana in mass concrete had improved the workablity. 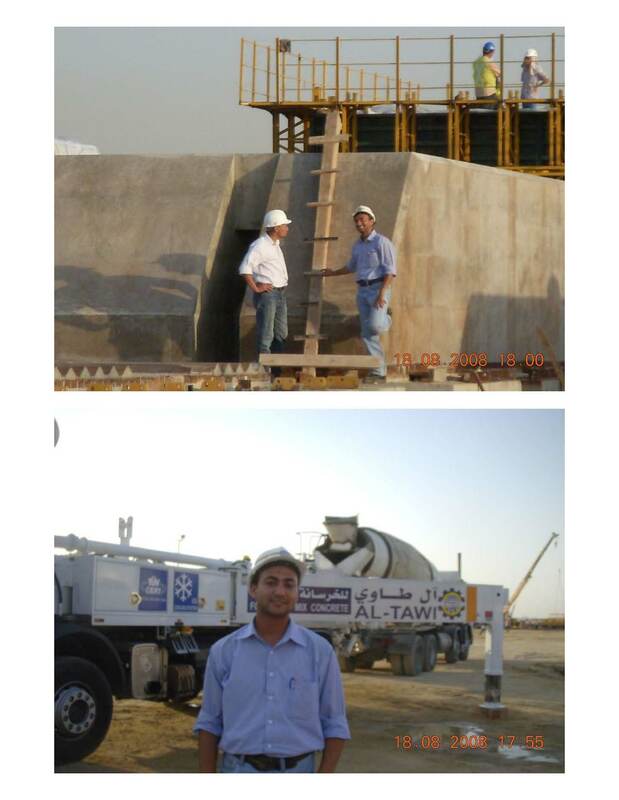 Al-Tawi is pouring large amounts of IP cement inside the mass block without any difficult. As seen the use of natural pozzolana in mass concrete had improved the workablity. 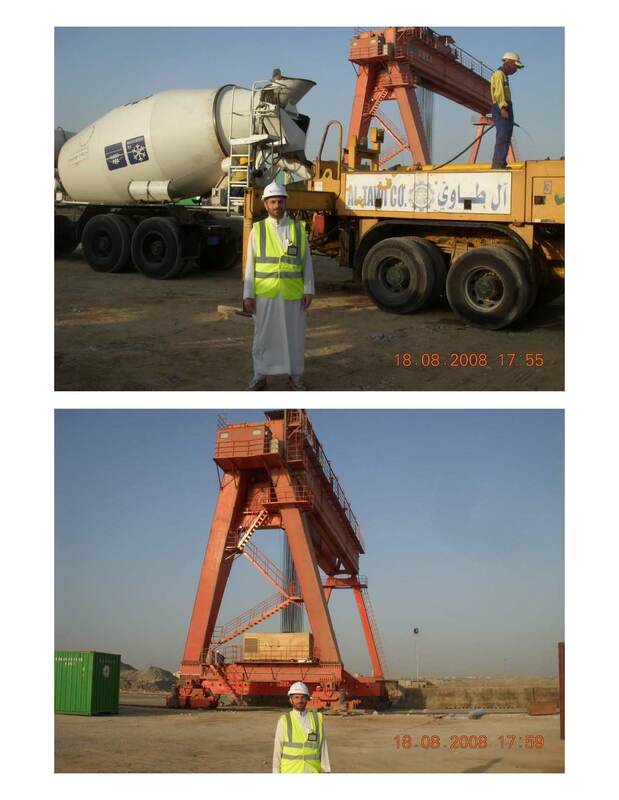 Dr Mohammed Alhaj Hussein stands in the front of truck of Al-Tawi ready mix concret at Sea Port and the huge crane that will be used to move 450-tons of IP concrete from the casting place to the red sea. Eng. 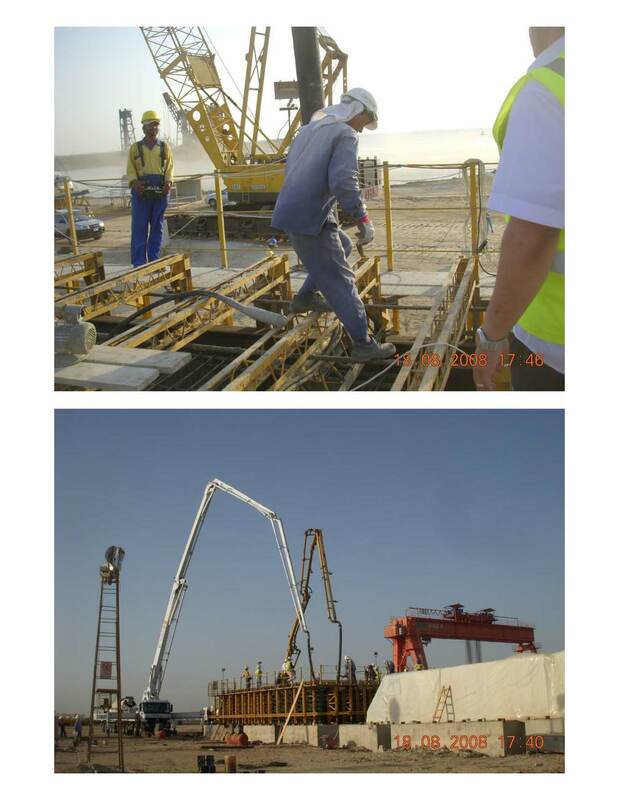 Hossam Abdel-Aziz the manger of Al-Tawi ready mix conceret at Sea Port and the consultant Eng. Mahmoud Elminiwy were happy because they had very good results after using local IP cement.